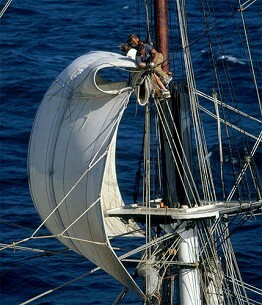 The SSV Oliver Hazard Perry is a full-rigged ship, flying 20 sails spreading 14,000 square feet on her three masts. Purpose-built as a sail training ship, she has been designated the official “Sailing Education Vessel” of the State of Rhode Island, and will be a goodwill ambassador for the state. 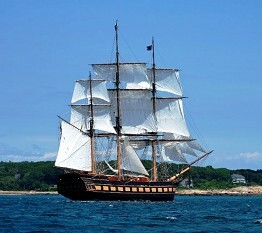 Named after the Rhode Island native and American naval war hero who helped defeat the British in the Battle of Lake Erie, the SSV Oliver Hazard Perry will not sit idly at the dock,but will offer year-round experiential education-at-sea programs in New England and Canada during the summer and the Caribbean in the winter. 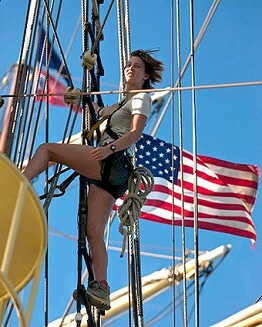 She will be a U.S. documented sailing school vessel, inspected and certified by the US Coast Guard. Her design incorporates an engineering plant with two main engines, generators, bow thruster, and modern navigation , communications and safety equipment. At 207 feet sparred length, she will be the largest sail training vessel in the US.